Along with the main course, we often want something sharp and spicy to complement the subtle flavor of the primary serving. That's where pickles play an important role in satisfying our taste buds. There are literally thousands of varieties of pickles used in different cuisines around the globe. We're going to list some of the best and popular pickles used in different cultures. You may be familiar with some of them while others may be completely alien to you. Almost all of these pickles can be kept for a long time in airtight containers. Two of my favorites are also included in the following list. Most of these pickles use vinegar as a preservative to prolong the shelf life. So, here we go! Note: These pickles are listed randomly and their position in the list does not represent their popularity index against the other entries. Pickled Cucumbers - This popular pickle variety made with cucumbers is quite popular in parts of northern Europe, US, and Canada. They're made with submerging cucumbers in brine or vinegar with mild flavoring agents. Variants of this pickle are flavored with fresh herbs for a unique taste. 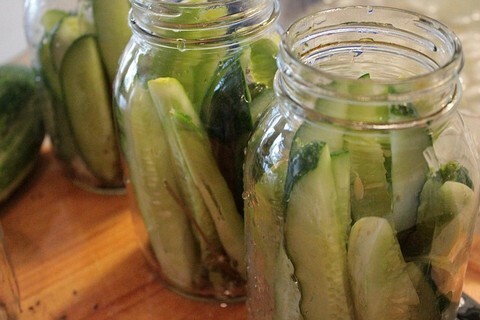 Do once try this easy-to-make cucumber pickle. 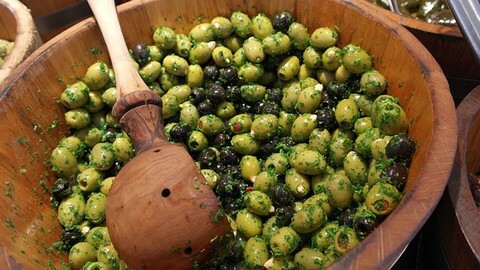 Pickled Olives - Olives are pickled primarily in Mediterranean region, parts of the Middle East and some parts of Europe. They are generally pickled in a brine solution or in sharp vinegar base though some people prefer to pickle them in dried form with spices and fresh herbs. In both the cases, the shelf life of this pickle is quite good. Do try it. Pickled Mango - This is another popular pickle variety made with raw green mango which is quite popular in the Indian subcontinent. It has a sharp flavor and is made with select whole Indian spices with a generous amount of local mustard oil. It can be kept for few years if made correctly. The spice quotient is little higher compared to other pickles. 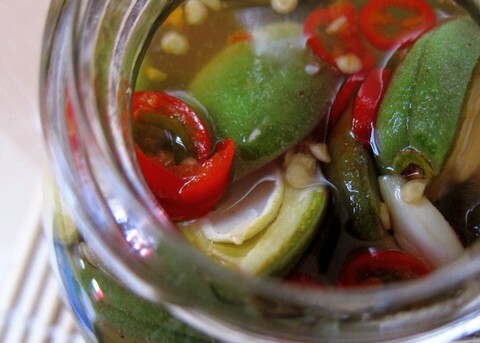 Pickled Chilies - This is one of the pickle varieties which are made in different forms throughout the world. Few cultures make it in semi-dried form with lots of dried spices while others prefer simple vinegar or brine base with select herbs. I generally prefer red chilies over the green variety as it releases more flavor. Do dig into it once. 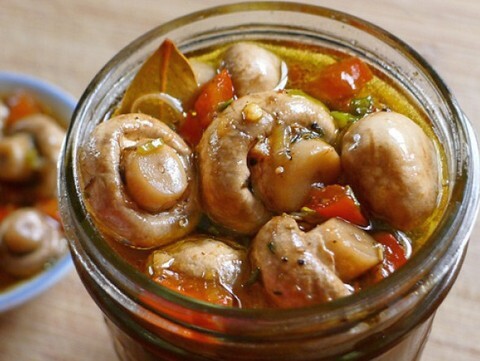 Pickled Mushrooms - It's one of my favorite pickle varieties which I make with regular white button mushrooms. It is made in different parts of the world with different mushroom varieties. The pickle itself varies in the way it is made. It is highly recommended to use a generous amount of herbs or spices to enhance the bland flavor of this vegetable. 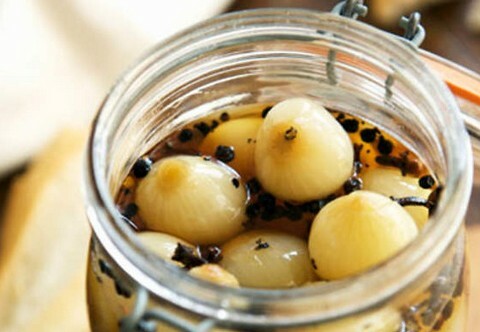 Pickled Garlic - If you're a heart patient with high cholesterol, this pickle should be in your daily diet. Garlic pickle is made both in spicy and sweet form. It is popular across the globe and is consumed on a large scale in select parts of the world. 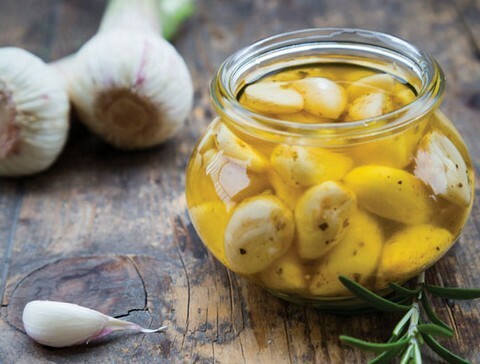 For best results, use large garlic buds and use ample quantity of oil or vinegar to preserve it for long. 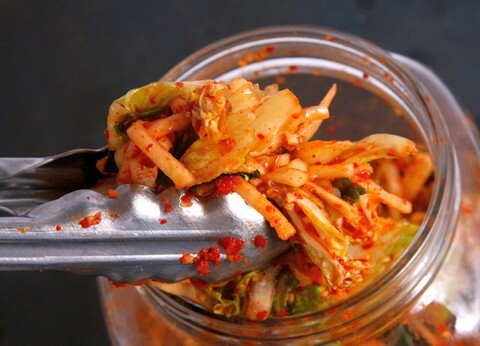 Kimchi - This popular Korean recipe is categorized as a pickle and is generally made with napa cabbage and loads of chilies. It is now available across the world and is made in different forms. It is fermented with care and is spiced up delicately to get a sharp and aromatic flavor. It's a perfect entry for the main course with light servings. Pickled Lime - This is yet another popular pickle form made from lime. It is made both in sweet as well as in spicy form. I prefer the former version though the latter form tastes as good. No matter how you make it, lemon pickles are known to have a very long shelf life. Lime pickle helps in digestion and keeps your stomach in good condition. 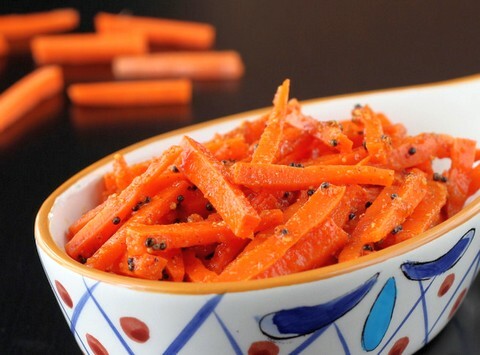 Pickled Carrot - This versatile vegetable in pickled in both sweet as well as in spicy form. The sweet version is pickled in condensed sugar syrup and is stored in airtight containers. 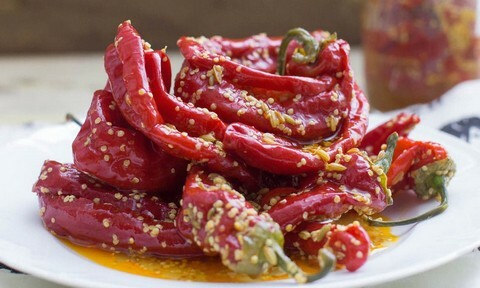 The spicier version uses whole spices and vegetable oil which gives it a sharp and pungent flavor. It is also used in mixed vegetable pickle adding more flavor to the recipe. 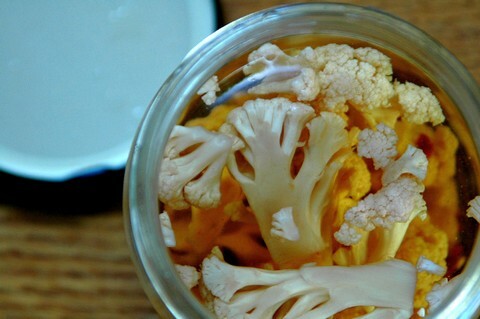 Pickled Cauliflower - It's my second favorite pickle I keep in my kitchen. In the winter season, when cauliflower is abundant, I make jars full of pickle which lasts throughout the year. Pickles made from dried cauliflower last much longer and tastes better. The canned version of this pickle is also available in superstores. Do taste this delicious pickle. Pickled Turnip - This nutritious and tasty pickle is made in different parts of the world during the peak season. Turnips are known to have several vital nutrients and one can keep them intact while making a pickle preparation. 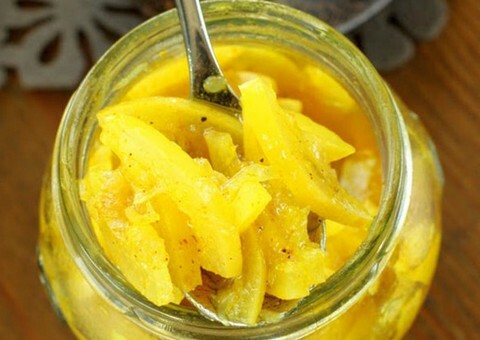 Use a generous amount of oil while making this pickle to get the best results. Use medium sized turnips to get more flavor. Pickled Onion - This multipurpose pickle made from onions can be used with the main course as well as with cocktails too. It's quite easy-to-make provided you're using quality herbs and whole spices. This is yet another pickle which is good for digestive system. Both red and white onions can be used but the latter variety has a long shelf life. 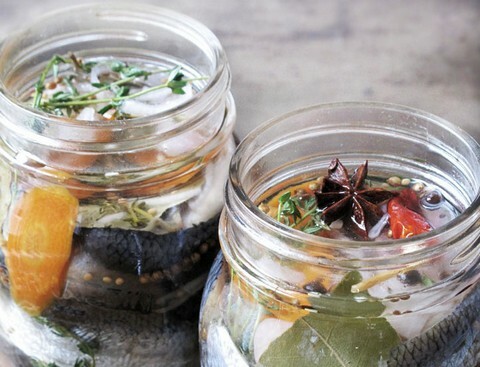 Pickled Herring - This pickle made with herring fish is quite popular in several parts of Europe. It is also available in superstores in case of this fish is not available in your locality. The best quality pickle uses pungent and aromatic whole spices with fresh herbs. I'd advice consuming it readily instead of trying to keep it for very long time. 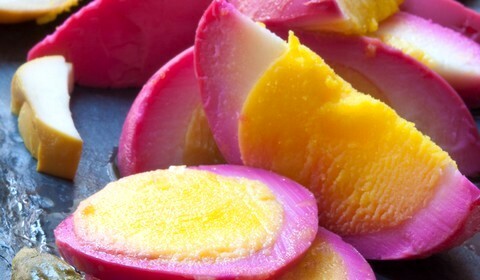 Pickled Eggs - If you love to consume eggs in different forms, pickling them is a good option. Eggs are pickled primarily in two different ways. The first one is immersing them in a vinegar solution with spices and salt. The popular method is to pickle them with beetroots and spices which gives them a nice color. This pickle is a perfect breakfast entry. 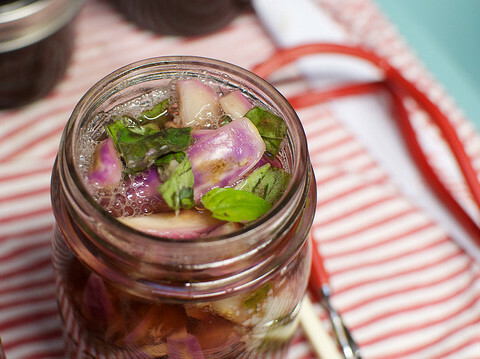 Pickled Eggplant - Rich in iron, eggplant is one of the best candidates for making a delicious pickle serving. Use long eggplants with less and raw seeds to get the best results. I prefer the spicier version of eggplant pickle. Purple, green or white eggplants can be used for making a pickle, though the first variety will give you the best flavor. Do try it once. 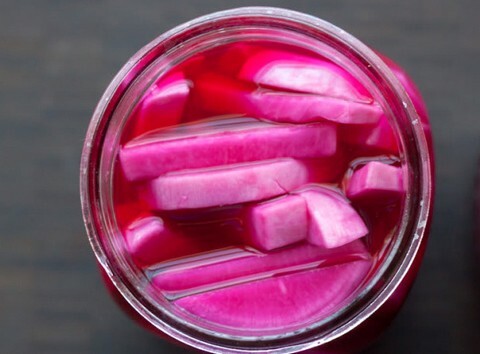 Pickled Beetroots - This tuber is rich in vital nutrients and minerals. A pickled form of beetroot is made throughout the globe in slightly different formats. I like the sweet version of this pickle with a hint of salt in it. Beetroot is yet another option which can be easily used while making mix veg pickle. 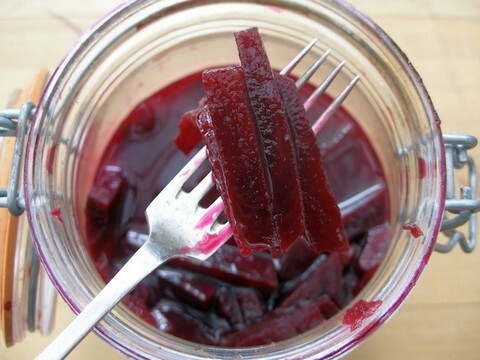 Use less vinegar while making beetroot pickle. Pickled Green Almonds - Pickled form of green almond is quite popular in the Middle East and in the Mediterranean region. 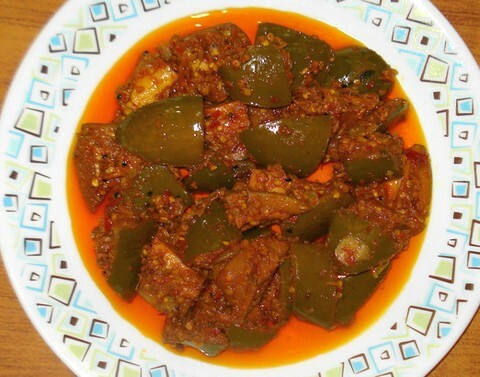 Often chilies and spices are mixed with green almond pickle to get a nice nutty and spicy flavor. You can also use salted green almonds to quickly prepare the pickled version. This pickle is good for your heart, eyes, and skin. Pickled Tomatoes - If you truly want to relish pickled tomatoes, never ever blanch them. 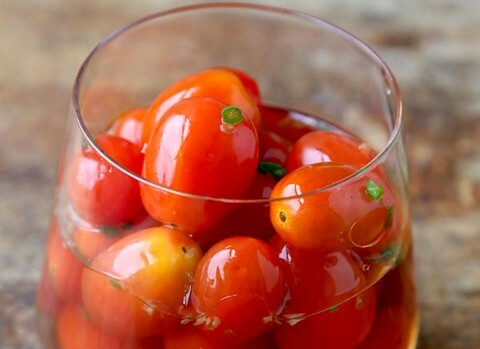 Use cherry tomatoes to get the best results. Do once pierce the tomatoes before stuffing the jar to start the pickling process else they may burst to break the container. Tomato pickle can also be used in flavoring curries, dips and different kinds of sauces.